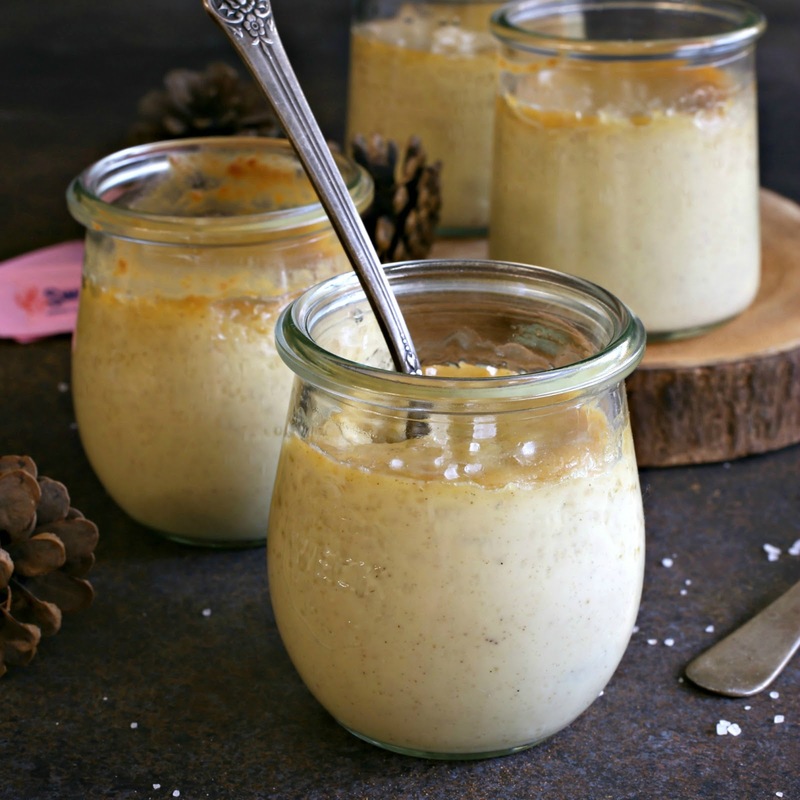 I love desserts in little jars and always have. Not only do I enjoy having a little pot of something delicious all to myself but, even better, it's the perfect way to give a sweet gift. And these days I'm all about thinking up sweet little gifts. 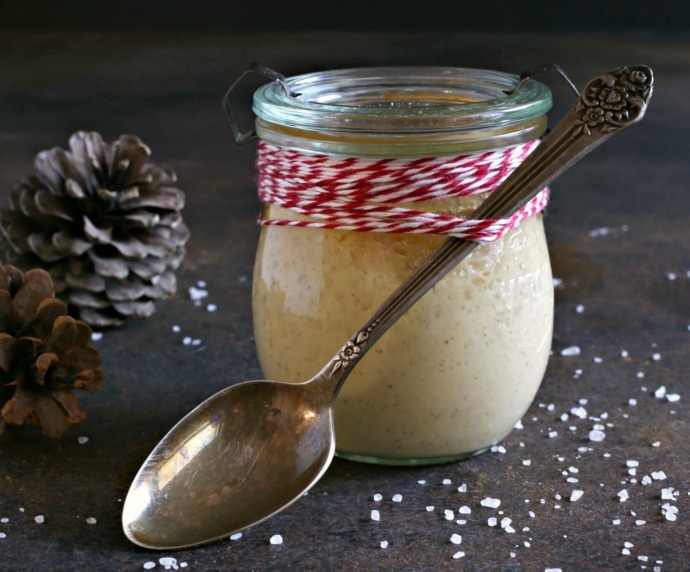 These little pots of salted caramel creaminess are pure comfort. While they may seem intimidating to make, just a few simple steps result in perfect baked caramel. And I can even go one better with these because I've customized them to be sugar free. Yup, the same batch made with sugar can be made with zero calorie sweetener, Sweet'N Low®, and it works perfectly. Lots of my friends either shouldn't or don't want to eat sugar these days but thanks to Sweet'N Low®, they can still enjoy this treat. 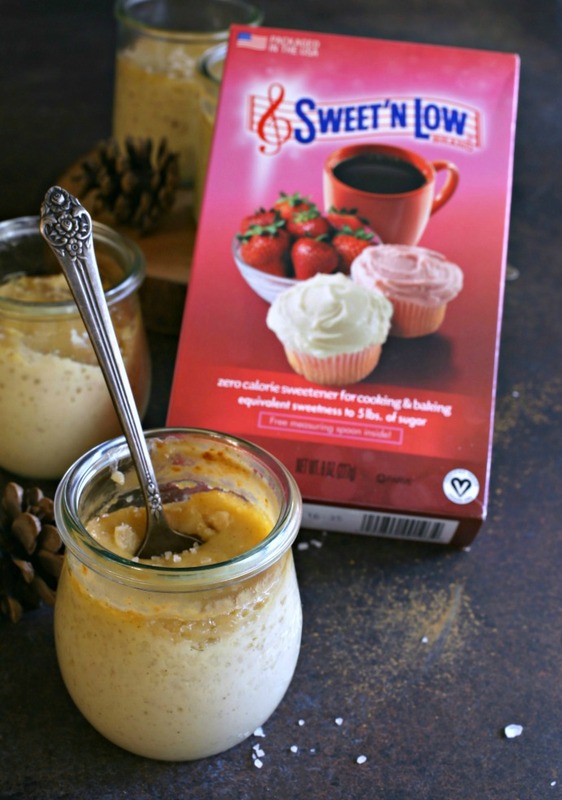 In fact, Sweet'N Low® can be used to reduce sugar and calories in any of your favorite baking recipes. One packet is as sweet as two teaspoons of sugar and eight teaspoons of Sweet'N Low® are equivalent to one cup of sugar. Baking tip: although this recipe uses only Sweet'N Low®, when baking with it, it's recommended to keep half the sugar in the recipe to ensure proper volume, texture and browning. the "12 Days of Christmas." My little pots of milky caramel are inspired by the Eight Maids a Milking verse. Check out the links below to see what the themed treats are for the other 11 days of Christmas. Enjoy! 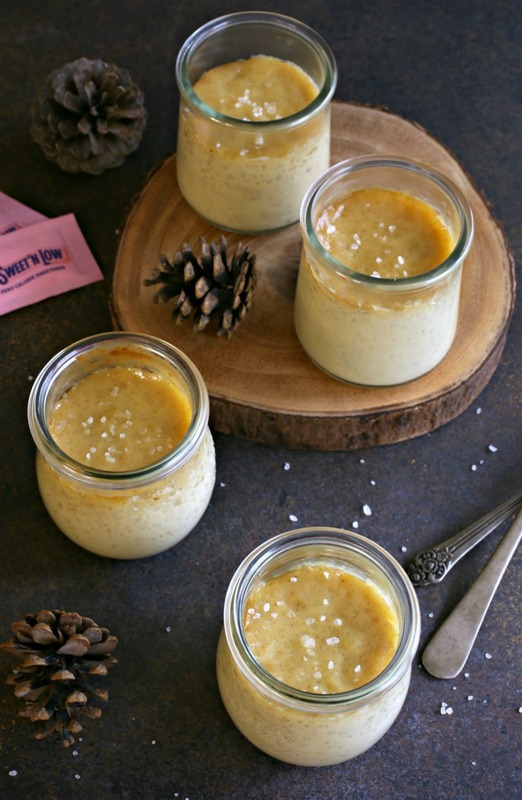 Recipe for sugar free baked salted caramel pots with ginger and cinnamon. Melt the butter in a heavy bottom pan and stir in the Sweet'N Low®. Cook on medium heat for a few minutes until the mixture begins to brown. Be careful not to burn it. Pour in the heavy cream (the mixture will bubble up) and continue stirring, on low heat, until the sauce is smooth and any hardened bits have dissolved. Stir in the vanilla, milk, cinnamon, ginger and salt. Remove from the heat. In a separate bowl, whisk together the 6 egg yolks and slowly whisk a few spoonfuls of the hot caramel into the eggs to temper them. Pour the tempered eggs into the caramel pot and heat on medium low. Continue cooking and stirring until the mixture thickens. Pour into 4 small oven safe glass jars or ramekins and set them into a baking pan. Pour 2 inches of hot water into the pan and bake for 40 to 45 minutes or until the edges are set. Note that it's OK for the center to still have a little wobble. Allow to cool and refrigerate to set. Sprinkle with sea salt before serving. This recipe makes 4 servings but can easily be doubled if you're serving all Eight Maids a Milking! This recipe is sponsored by Sweet'N Low®. Thank you for supporting the products I love and use in my kitchen.